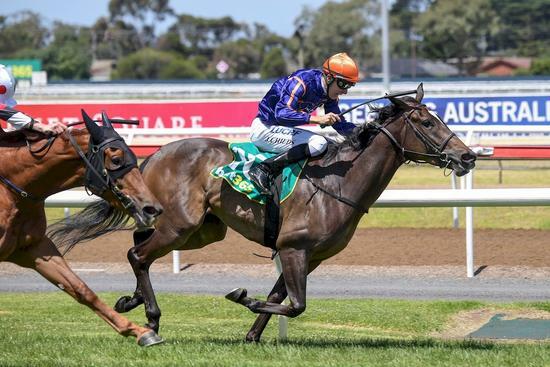 Domain Thoroughbreds :: American Summer does it in style at Geelong! American Summer does it in style at Geelong! Four short days into the New Year and AMERICAN SUMMER blazed to the line at Geelong as our first winner for 2018. In a strong 3-Y-O Maiden at set weights over 1318m, the filly took up the running and would not surrender to her fast finishing rivals. First up after a 24-week break, it was a mighty effort. Kudos too to Jordan Childs who is in red-hot form for another unflappable ride.